My name is Karen M. I am an Italian citizen (Italian is my native language) with solid and extensive experience in teaching Italian overseas. In 2004 I graduated from the Catholic University of the Sacred Heart (Milan, Italy) with a Bachelor of Arts, Honours in Media/Film Studies. 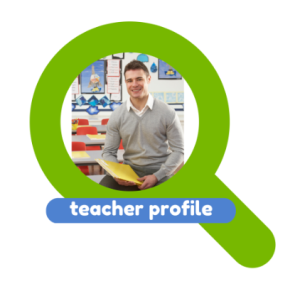 In 2005 I moved to Melbourne (Australia) where I became a fully qualified teacher after completing my Postgraduate Diploma in Education (Secondary Teaching), and taught Italian here for 9 years. I recently decided to move to London to be closer to my family. While overseas, I taught Italian at all levels (beginners to advanced) to students of all ages and abilities in both language centres and high schools. When teaching, I employ a variety of teaching methods such as the communicative method; as well as audio-lingual, direct and sociocognitive approaches among others. This means, for instance, that my learning activities include a varied range of tasks that mimic the use of the Italian language in real life situations. Grammar rules are never the focus of a lesson. Grammar is taught inductively; rules are generalised from practice, experience and examples. The acquisition of the ability to speak in another language has mainly communicative purposes. In that sense, it goes beyond grammar, including body language, cultural assumptions and it is context specific. Learning a language is a social activity and it should be fun! Learning Italian also means developing an understanding of Italian culture, customs and traditions. In my lessons I like to create a friendly and enthusiastic environment were everyone feels comfortable in participating and is engaged in the activities. When teaching, I like to incorporated the use of ICT both in class and to support individual extended learning outside classroom. I aim to create lessons that focus on the development of speaking, listening, reading and writing skills using all sort of authentic material (newspaper, magazines etc. ), audio-visual texts (tv commercials, songs, films etc.) and recordings, just to mention some. I am very passionate about Italian language and culture and I am writing to you in the hope to be able to continue teaching Italian also in London. What are the benefits of learning German in London? If you are living and working in London, taking german lessons can be beneficial to your career. This is because London and Frankfurt are two of the most influential financial hubs in Europe and also in the rest of the world. Germany is one of the most powerful economies in the world and you can find plenty of job opportunities. There is a possibility of someone actually relocating and moving to Germany and this is a wonderful opportunity. Other reasons to take german classes include the fact that it is the most widely spoken language in Europe. The population of Germany is 83 million people, but it is not only the residents who speak the language. This is the official language in Austria, Switzerland, Liechtenstein and Luxemburg. In addition, a significant population of people living in Holland, Northern Italy, Eastern Belgium, Denmark and Eastern France speak the language. When you learn the language, you will be able to connect with 120 million speakers of the language around the world. Germans are highly innovative people and the list of innovations is endless. We have Einstein with his theory of relativity, the development of chemotherapy and the creation of the MP3 music format. Throughout history, Germans have shown that they are very inventive and ingenious. In fact, this trend still continues up to this day and the ten most innovative companies in the world are found in Germany and just to name some of the most important we have Volkswagen, BMW, Siemens. This presents many job opportunities in these companies for other talented people to pursue after taking a german course. There is a rich cultural heritage in the countries where people speak German. This is yet another reason for taking german classes. Poets and thinkers are well represented in Germany, and the countrys contribution of human thought and the arts is amazing. The sciences and philosophy cannot be the same without German influence. The philosophers such as Marx, Hegel, Kant and Nietzsche have had a lasting influence on the modern society. We at the language class offer a wide range of way to learn Italian in London. First of all we are based on the edges of the City so coming to us it is very simple. The nearest station is Aldgate east and it is served by 4 different lines, we have the District, Metropolitan, City and Hammersmith and the central Line from Liverpool street. Courses for adult learners in the evening. Our courses are held mainly in the evening after 7 pm to allow everyone who want to learn Italian to come to our classes, the evening lessons lasts 2 hours and they end at 9 pm, normally the classes will least for 10 weeks. Our lessons are centred on the needs of the students, so you will be the star in our classes not the teacher. This means that all classes are tailor made to the needs of the group as a whole. The student will discover the language with the help of the teacher, in fact discovering it is much more effective than being passively taught. Our Italian courses are based on the communicative method, this guarantees that you get a lot of oral practice to build confidence form the the start. Therefore when you will travel to Italy you will know how to handle situations such as ordering food and asking directions. Also the lessons are task based, and this means that you will have to complete task at the end of each lesson in order to put into practice what your have learned. Other Italian courses: weekend, daytime intensive and private lessons. For those who want to learn Italian in London we have also have other formats if you cannot attend the evening classes. Our Italian native teachers are available to come to your office, or you are welcome to come to our classroom in Aldgate if you cannot arrange a meeting at your work place. We also organise weekend Italian lessons on Saturdays or you can take one of our intensive courses that run from Monday to Friday and they are very good if you are travelling to Italy at short notice. If you have plans for your children to become bilingual in English and Italian or you have family in Italy we are here to help. We recommend that the children start the tuitions when then are at least 4 years old. In this case the tutor will always come to your home for the lessons as we do not do children lessons at our classroom. Our teachers are highly qualified to teach and they all have CRB clearance for extra peace of mind.